With their recent release of Marwencol on Blu-ray, it may come as a disappointment to some that The Cinema Guild is not releasing all of its titles in high definition. But in the case of Guy and Madeline on a Park Bench, the film definitely benefits from not having the most crystal clear presentation. 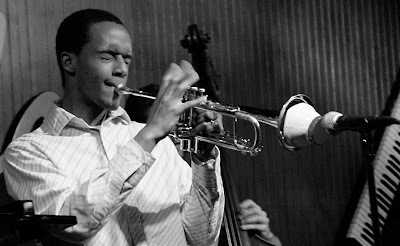 The grit, the grain, and the flecks of dirt that dot the frames of Damien Chazelle's altogether sublime musical are an essential part of its personality. 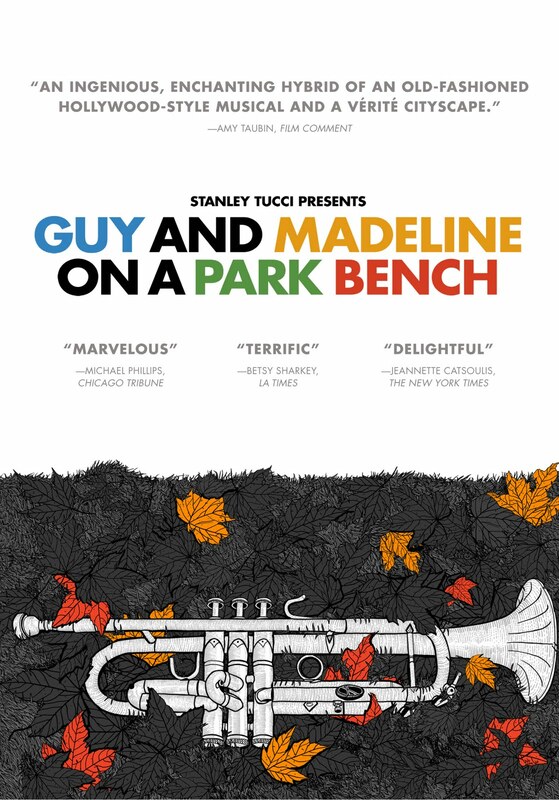 Shot in 16 mm black and white, Guy and Madeline on a Park Bench is a jazzy, exuberant musical that is part French New Wave, part classic Hollywood, and all heart. Guy and Madeline's relationship began as a fairy tale. Boy met girl, boy fell in love with girl, and through their mutual love of jazz music they formed a bond. But three months in the honeymoon is over and boredom has set it. Guy (in one of the most breathlessly romantic scenes in years), meets up with Elena, a new, more extroverted woman that captures his fancy and ends his relationship with Madeline. Jason Palmer and Desiree Garacia star as the titular characters in GUY AND MADELINE ON A PARK BENCH. Madeline tries to cover her heartbreak and rebuild her life by moving from place to place, never stopping, always trying to stay busy. But soon Guy realizes that he may have made a mistake, and returns to pursue Madeline. What follows is a dazzling and joyous celebration of love, life, and music about the dissolution and rekindling of a romance. Director Damien Chazelle, who began the film as part of his senior thesis at Harvard University, has a clear knowledge of classic cinema. The grainy, black and white images are a sight to behold, and when coupled with the toe-tapping score by Justin Hurwitz, the film comes to breathtaking life. Clearly influenced by Jean-Luc Godard films such Vivre sa vie (a lilting musical theme follows Madeline in a similar fashion to that film's Anna Karina) mixed with a dash of A Woman is a Woman, Guy and Madeline on a Park Bench is a New Wave musical that is keenly in tune with the beats and rhythms of NYC, deftly navigating the ins and outs of a relationship in powerfully honest ways. Glances and gestures are just as important as the musical numbers that spring from the characters' innermost feelings. If life were a musical, it would look something like this. Jason Palmer stars as Guy in Damien Chazelle’s GUY AND MADELINE ON A PARK BENCH. Cinema Guild's presentation is top-notch as always, and even though it's not in high definition, this film is bloody gorgeous. An essay by critic Amy Taubin deepens ones appreciation for the film while offering insight into its creation. Chazelle has created a vibrant and lively romance brimming with joy - a messy and infectious ode to good old fashioned moviemaking. It's a throwback that seems to exude pure cinema, and introduces a thrilling new talent who has made an indelible mark. 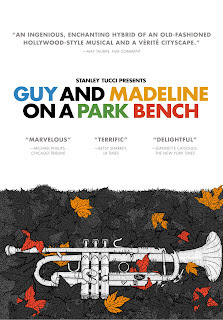 GUY AND MADELINE ON A PARK BENCH | Directed by Damien Chazelle | Stars Jason Palmer, Desiree Garcia, Sandha Khin, Frank Garvin, Andre Hayward | Not Rated | Available on DVD from Cinema Guild on May 3, 2011.